An estimated 1.3 million Japanese aged 15 to 64 have used marijuana, surpassing those abusers of paint thinner and other inhalants for the first time, a survey by The National Center of Neurology and Psychiatry shows. The center, based in the western Tokyo suburb of Kodaira, began the biennial substance abuse survey in 1995. The latest survey was conducted on 5,000 people in the stated age bracket between September and October 2017, and drew 2,899 respondents, the results showed Sunday. 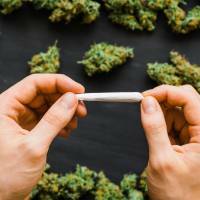 The center’s estimated figure of 1,331,765 habitual and nonhabitual marijuana users, an increase of around 380,000 from the previous survey, was calculated using population ratios and other factors. The results also showed declines in abusers of inhaled organic solvents and so-called kiken drugs (dangerous drugs), which are similar to designer drugs. Of the respondents, 1.4 percent said they had used marijuana, up 0.4 point from the previous survey, followed by solvents at 1.1 percent, down 0.4 point, and methamphetamines at 0.5 percent, unchanged from the previous survey. Since the government has tightened regulations on kiken drugs, which can cause effects similar to narcotics and stimulants, authorities suspect more people are using marijuana instead. Police took action against more than 3,000 people — a record high — last year over incidents related to marijuana, including teens who were arrested for possession. The Health, Labor and Welfare Ministry’s Narcotics Control Department has intensified its activities as well. The figure is twice the 1,555 cases logged in 2013. 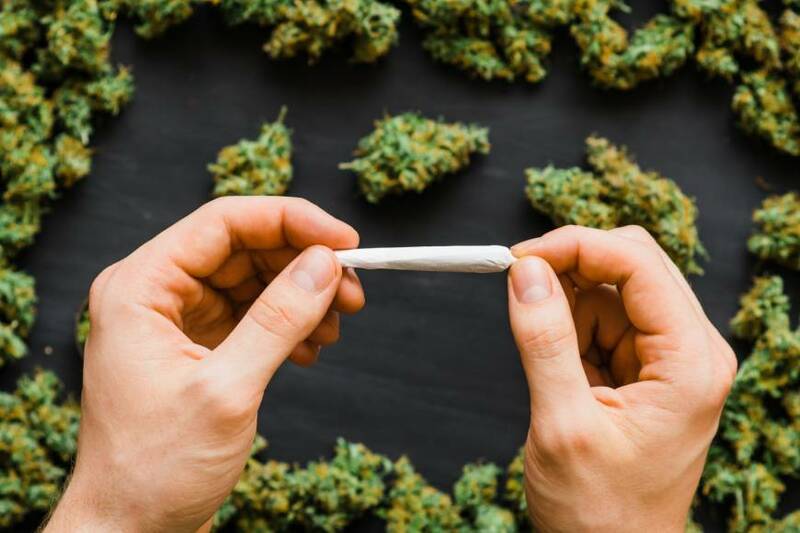 There are concerns that young people in particular are susceptible to using marijuana sheerly out of curiosity, with some believing it less harmful than other types of drugs. According to the survey, 2.3 to 5.0 percent of teenagers and people in their 20s and 30s said using marijuana is fine if it is “just a small amount” and view it as a matter of “individual freedom,” far exceeding the ratio for those in their 40s to 60s who gave the same answers. Also, more than 3 percent of respondents in their 20s and 30s said they had faced situations in which other people tempted them to use marijuana. “The scope of exposure to marijuana among young people was bigger than I imagined. I’m worried about the expansion of abuse among them,” said Takuya Shimane, section chief of the center’s National Institute of Mental Health, who conducted the survey. The Kochi Prefectural Police have arrested high school students and others for trading in marijuana at outdoor music events. Other incidents causing alarm include the confiscation of concentrated forms of marijuana, such as liquid and wax, which are highly potent and more dangerous, according to authorities. In January police confiscated marijuana liquid at an apartment complex in Tokyo. Since marijuana liquid is inserted into a special container and lit with an electronic cigarette, it is difficult for others to tell that one is smoking marijuana. The liquid does not have the unique smell of the plant, making it hard to detect. To the contrary, however, many countries are starting to legalize marijuana. Uruguay legalized marijuana in 2013, becoming the first nation in the world to let residents grow their own supplies or buy it over the counter, in an attempt to eradicate its drug cartels. In the United States, many states have legalized the use of medical marijuana, and only four still ban it. Recreational use of marijuana became legal in California in January and Canada is slated to legalize it later this year. But due to concerns about how it might affect young people, countries that have legalized marijuana still ban minors from using it. In the U.S., about 40 percent of the people are opposed to legalizing marijuana, with conservatives especially wary of the move. In the state of Washington, the number of fatal car accidents involving marijuana users has more than tripled. With young people more aware of trends worldwide, investigators in Japan point out that it’s difficult to raise their awareness. “We need to educate them to understand that marijuana is illegal and is harmful to their health,” a senior police official said, adding the need to crack down on marijuana suppliers.